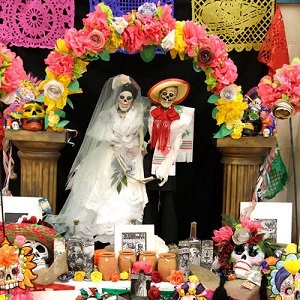 The Napa County Hispanic Network Latino Heritage Committee & Napa Valley Unified School District Present -: The Day of the Dead • El Día de los Muertos. Altars, Music, Dancing & Craft Activities for the whole family, Food for Sale. Entertainment: Danzates Aztecas Nanahuatzin • Ballet Folklorico “El Valle” St. Helena.